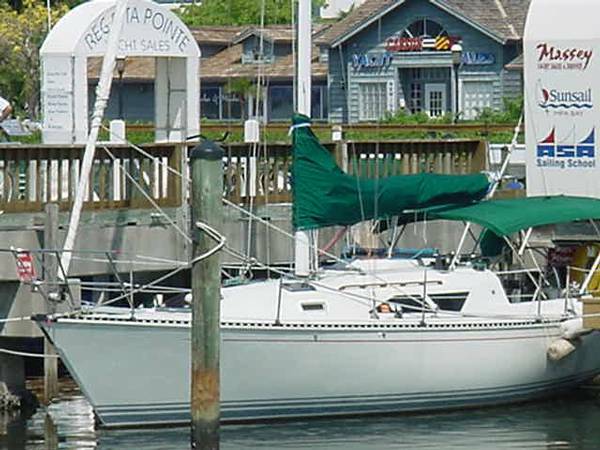 This Ebbtide 33', Gold Star, was launched in Falmouth Harbor in 1987 and has had only one owner who has equipped Gold Star for world voyaging. Her hull construction, machinery and engine installation was all supervised by Lloyds of London. Lloyds of London certificates are available and a Lloyds of London brass plate is installed in the salon. Gold Star is a steel, southern-ocean voyager built by Oceancraft Limited in England. Her current owner has sailed her to Washington via Falmouth, Ireland, Portugal, Spain, Brazil, S. Africa, Australia, Singapore, Philippines, Japan, Alaska, Port Townsend, Hawaii, San Francisco, Hawaii then to her current berth in Port Angeles. Everything about Gold Star was done with ocean cruising in mind. The current owner, who met and studied briefly with Bernard Moitessier, says “Moitessier would love this boat!”. She is an ocean voyaging boat. Gold Star is powered by a Bukh (Denmark made) 2-cylinder, 24hp diesel engine with 1700 hours on it. The current owner has lots of spare parts for the boat including an injector pump, water pump, alternator, starter etc. Her 2 Group 27 batteries were new in 2017. Her batteries are charged from shore or by the solar panels and wind generator. The electrical panel is new from 2016. 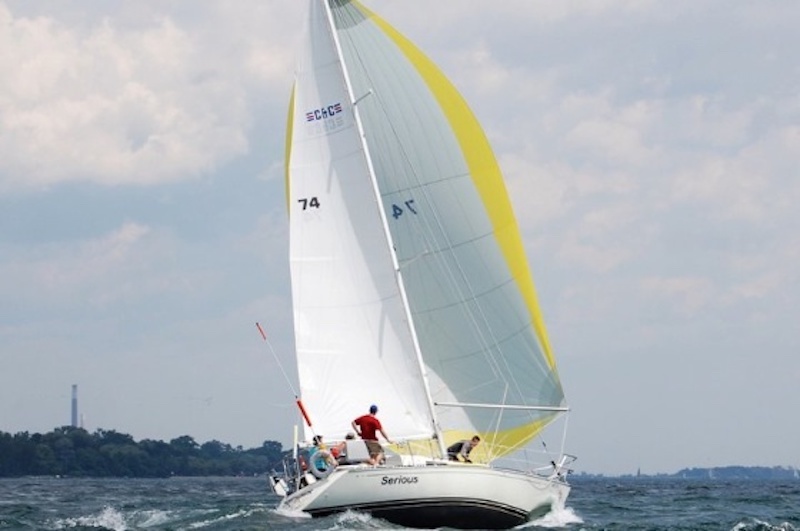 Gold Star has 12 cruising sails that come with the boat including a Lee main tanbark sail, Lee “Swedish” tanbark main (new), heavy weather main (s. ocean sail), Lee tanbark jib, 140% furling genoa on a ProFurl furler, 140% hank on Genoa for the twin head stays, B&H storm staysail that’s hi-visibility, a French staysail (excellent condition), Lee tanbark staysail (new), B&H staysail and a B&H storm tri-sail (bright yellow-never flown). All the sails are in brand new Lee custom oversized sail bags labelled and with a double-choker drawstring. Standing rigging was replaced with high quality stainless in May of 2018. The turnbuckles are Halsford and she has Sta-Lok’s. 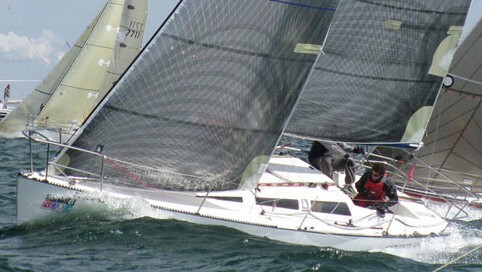 Lots of spare rigging included with sale. The current owner is 75 and has put incredible effort into Gold Star to make an ideal world cruiser that only needs provisions before heading back out to Sea. Her decks are well laid out and solid. The cockpit is situated well so you feel secure onboard. You enter the main cabin through the top slide of the companionway. Built sturdily into the slide hatch is the clear dome made famous by Moitessier to be able to see your sail trim from the comforts of the cabin. There is also a steering wheel down below to control your heading without having to go on deck. Forward of the cockpit and clear dome is a Sestrel-Moore steering compass. Down below there are 2 Plastimo’s compasses built into the bulkheads. Gold Star can be steered by the tiller, the steering station below or from either of the two windvanes (Aries and Clearway with 8+ air vanes). In 2016 she got a new Awlgrip paintjob and she just got a new bottom job in June, 2018. Down below the galley is to starboard and a navigation station to port. The galley has a Taylor kerosene stove and oven and cold box. Going forward is a L-shaped settee to starboard and settee to port. The salon is roomy and heated with a Taylor diesel stove. Going forward from the salon is a large closet to port and forward of that is a large Bond and Store Safe for when in international waters. To starboard is a large head with a Levac toilet. The v-berth area forward is large with portlights to look out onto the water from your berth. There are lots of storage areas throughout the down below. For ground tackle Gold Star has a #45, #35, #25 CQR's and 2 Bruce #25 anchors. The main CQR is on a Simpson-Lawrence swivel and 400’ of chain. There are chain lengths and rode for all the anchors and Octoplate emergency 5/8 anchor line (200’). She has a Moyle Bulldog windlass. Gold Star is of triple chine form with lateral framing space at 39”. Topsides, deck, doghouse and cockpit are .16”, plate, garboard plates .2”, keel plates .24”, keel sole .6”, chine bars and sheer are .8” diameter solid bars. All mill scale is removed from steel prior to fabrication. The hull interior is protected with epoxy tar coatings and further protected by the sprayed polyurethane foam insulation which is non-aborbent. The hull exterior is protected by a paint system consisting of etch primer, four coats of epoxide resin and two coats of polyurethane. Also included are 2 dinghies: an Avon R2.8 inflatable and a Montgomery fiberglass dinghy with Japanese spoon oars. A Honda EM650 portable generator, a Bickerton folding bike, 3 exposure suits (excellent condition), 1 immersion suit (excellent condition), EPIRB, ditch bag, and a new Porta Potty. 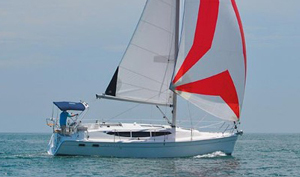 The owner also has loads of other cruising tools, charts and equipment that are available if interested. The current owner would love nothing more than to head back out in Gold Star, but he knows it’s someone else’s turn. Gold Star is ready for her next voyagers, her life is still young. 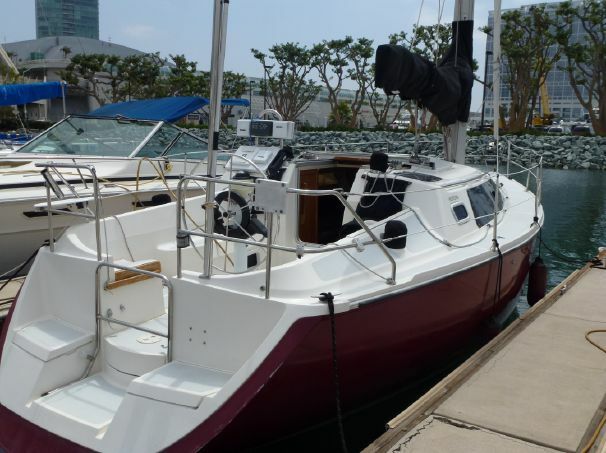 She’s turn-key, she’s been well maintained and she’s thoroughly equipped for ocean sailing. Showings available immediately by appointment only.